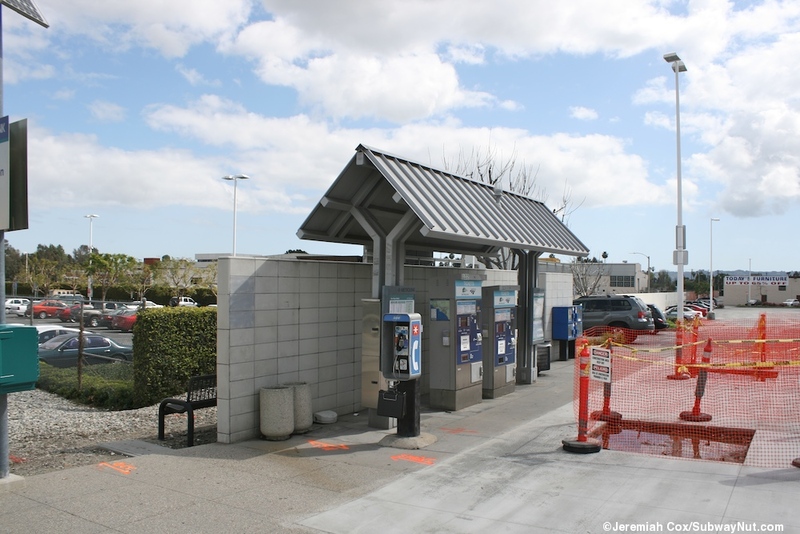 The Van Nuys Station opened with the first San Diegan trip that was extended to Santa Barbara on June 26, 1988. 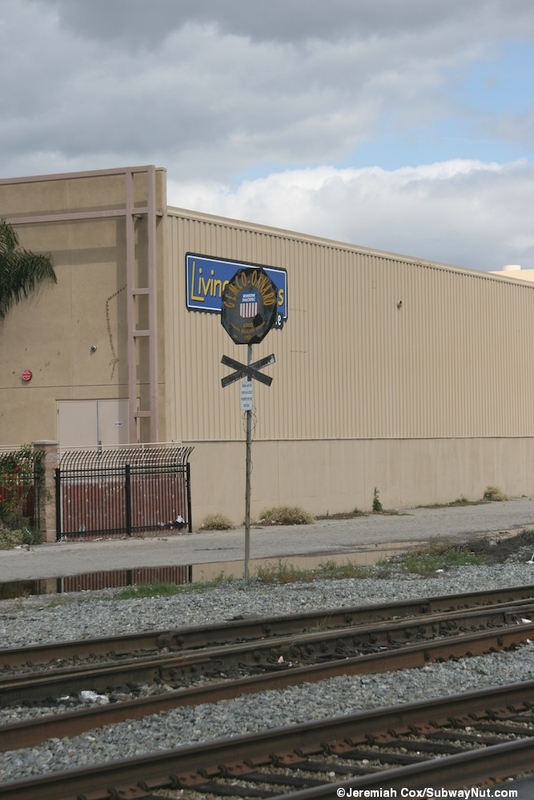 It was a stop previously, called Panorama City, on the ill-fated CalTrain commuter rail line that made two weekday round-trips from L.A.-Union Station to Oxnard between October 1982 and February 1983 (one Source, an ad for its debut). 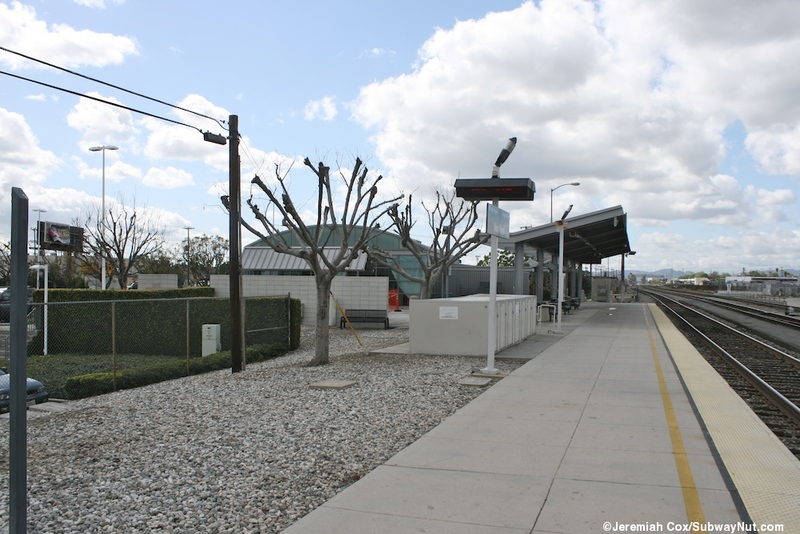 Metrolink began service to the station with its opening on October 26, 1992. 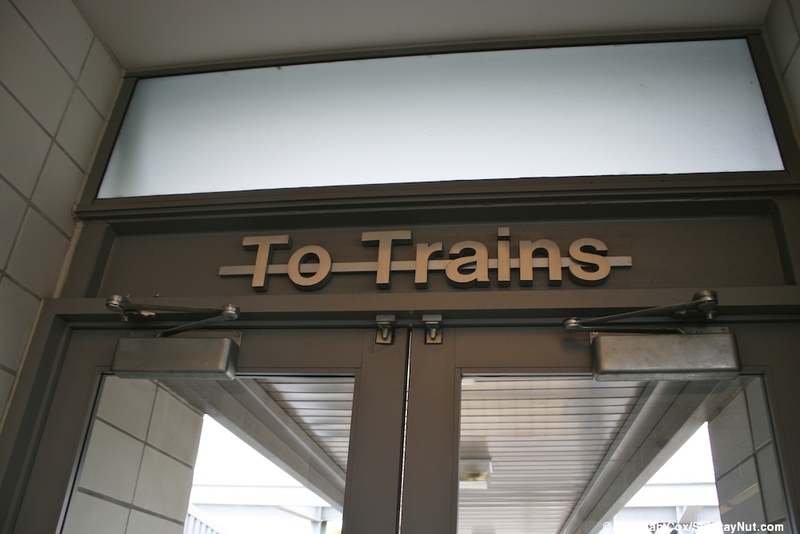 The present modern station building was dedicated on December 17, 1995 before that the station was unstaffed. 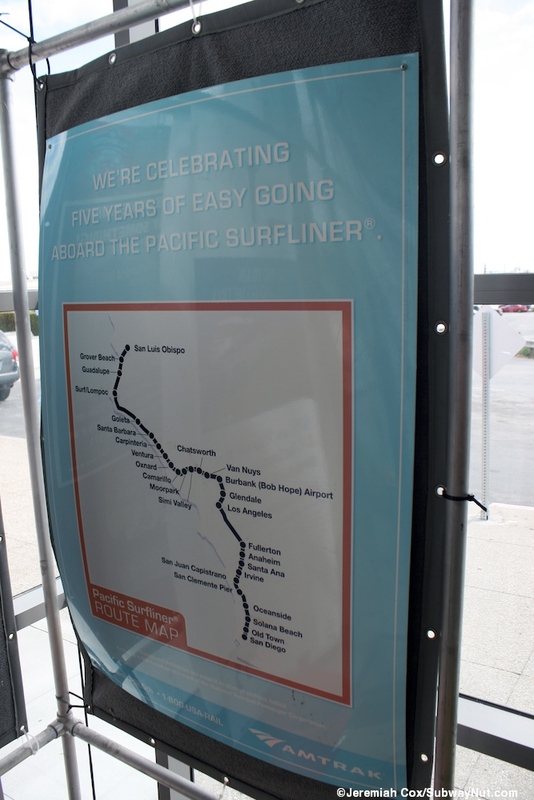 Baggage service finally arrived in about April 2005 and today all five daily Pacific Surfliner Round-Trips plus the Coast Starlight (that also started to serve the station in April 2005, discontinuing its stop at Glendale) all received full baggage service. 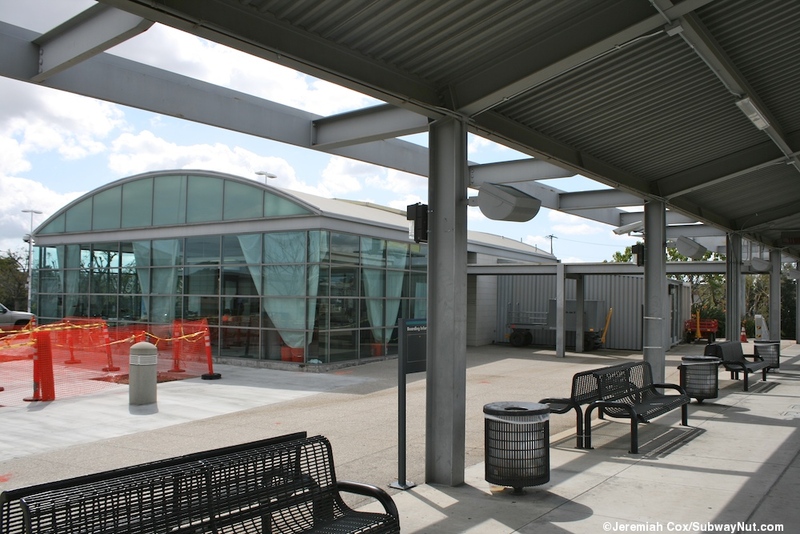 Amtrak thruway buses stop at the station making four round-trips per day up to Bakersfield to meet San Joaquin Trains, these buses all continue south to Torrance, CA. 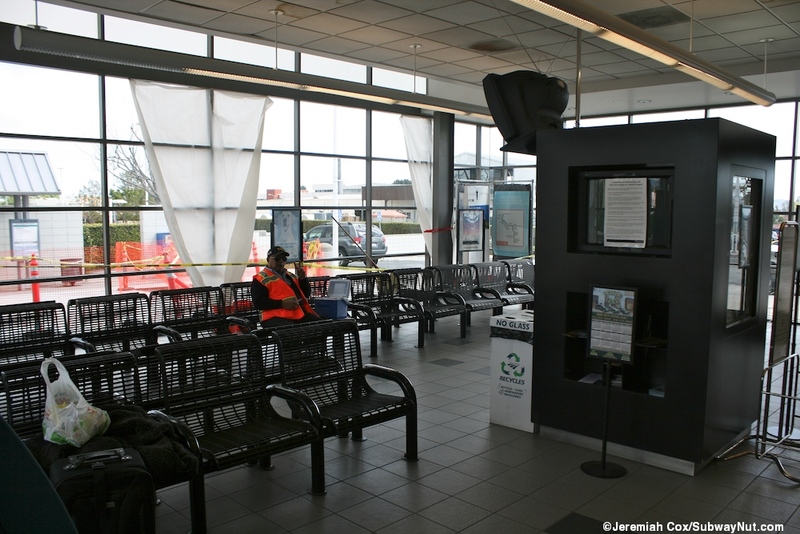 These buses can also be used (in both directions e.g. 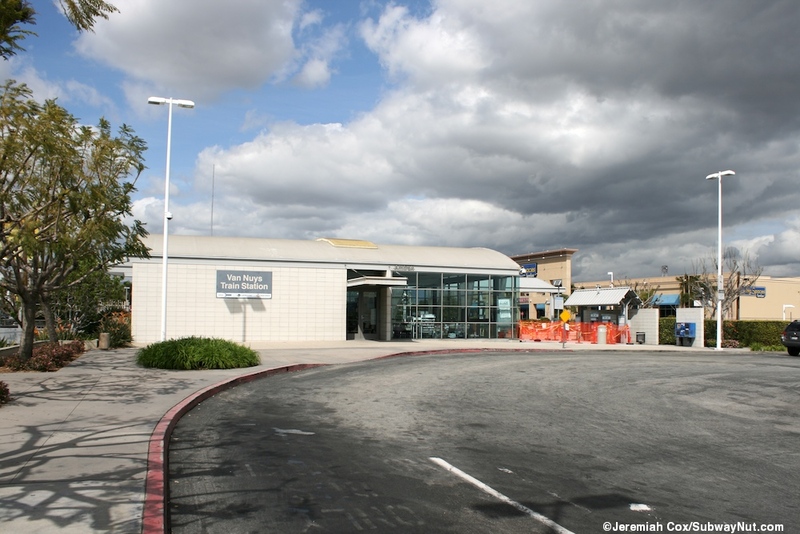 to Torrance from Van Nuys) to connect with Pacific Surfliner Trains. 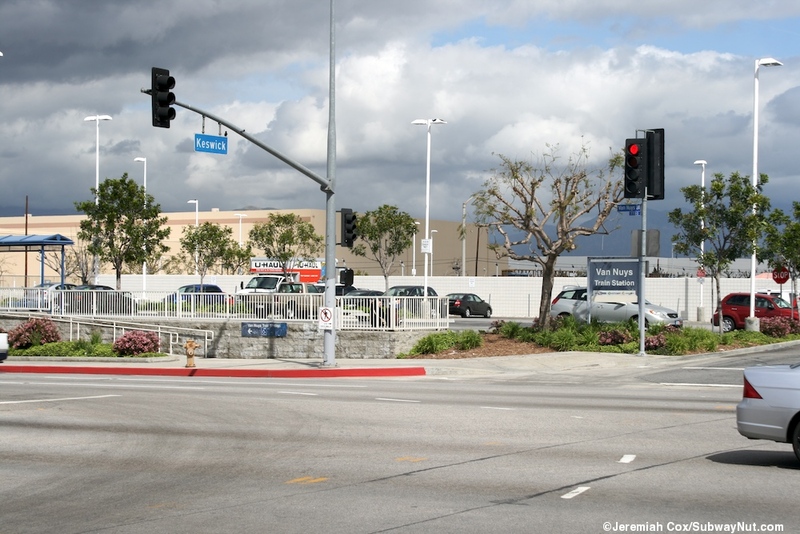 Metrolink stops ten times per weekday with six of the trips during peak direction rush hours, two reverse peak trips and two midday round-trips. 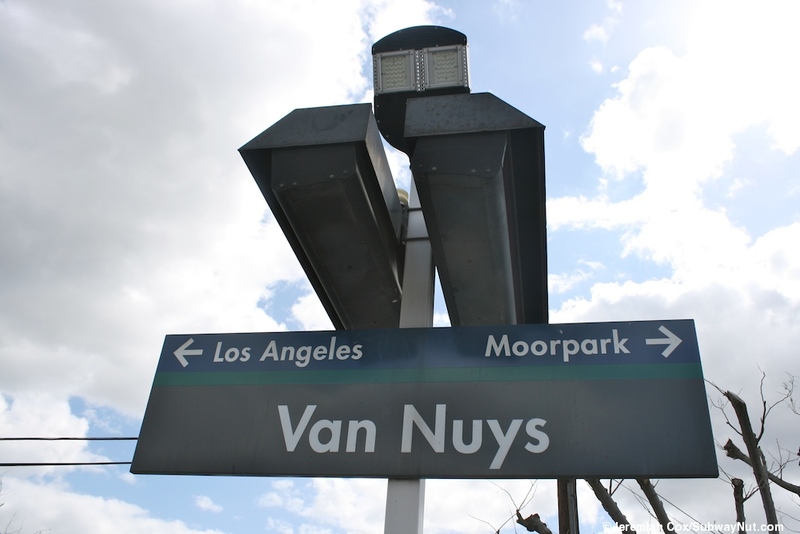 The station itself is located just east of the Van Nuys Blvd underpass and starting from the west is the single side platform for a single platforming track (there three minimum tracks in the station area due to the train yard the station is along) there is a staircase up from the east sidewalk of Van Nuys Blvd. 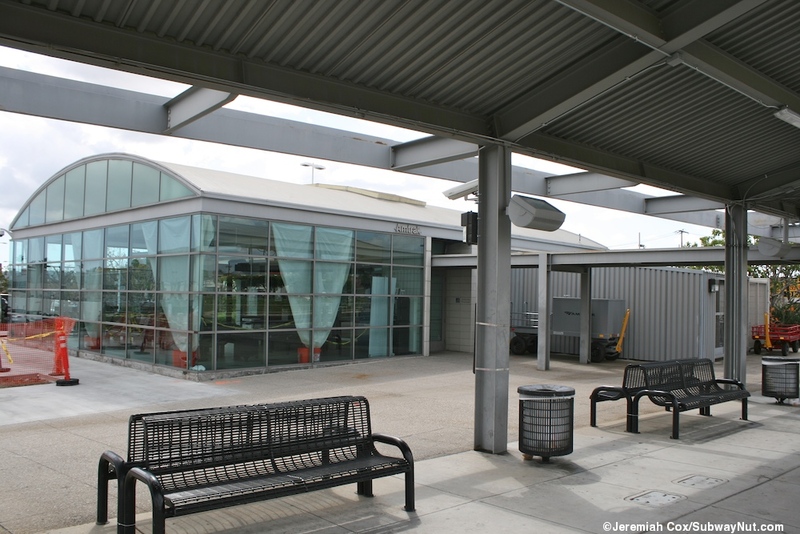 This leads to the end of the platform where it has a small modern canopied stretch with benches beneath. 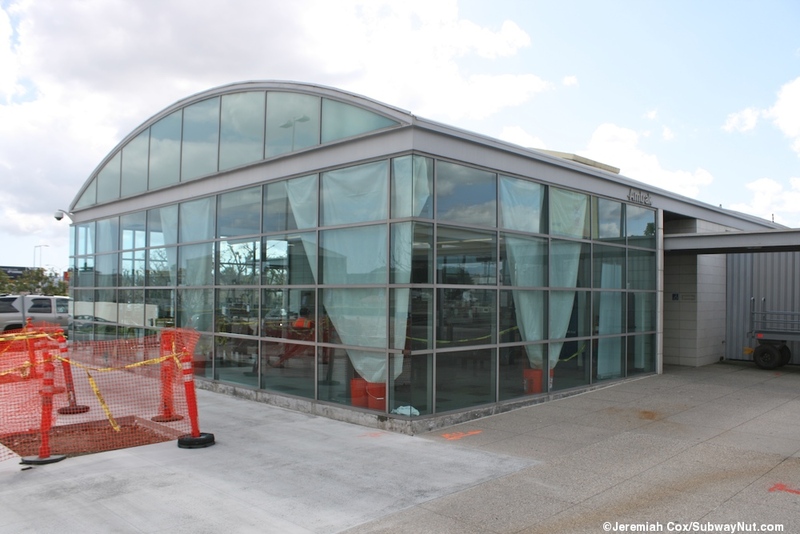 A short covered walkway leads back to the depot; a modern silver single story building with glass walls on three sides surrounding the modern airy waiting room. 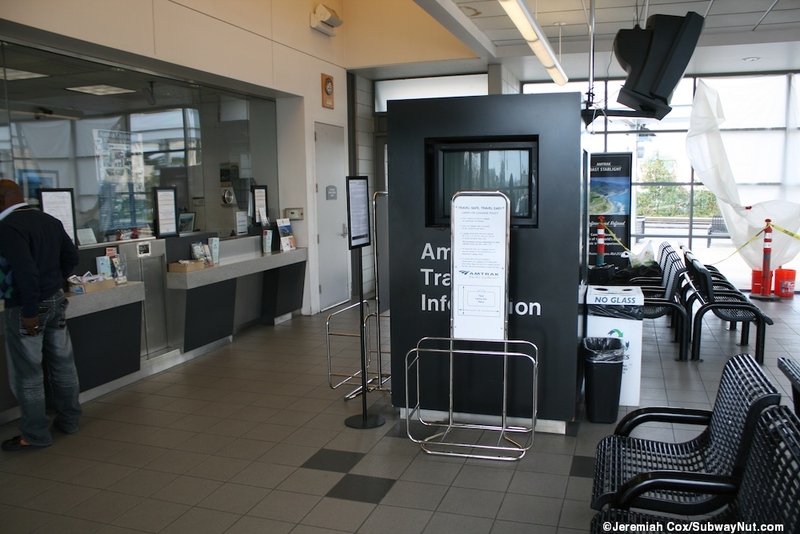 Inside are two ticket windows with a baggage scale in between on the western fourth wall of the building. Benches are single metal seats with arms. 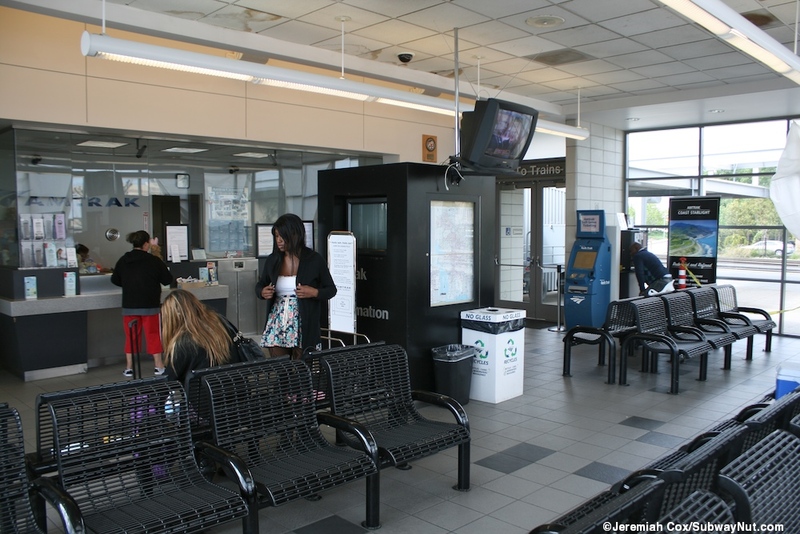 This ticket office area leads out to a baggage cart shed whose modular metal characteristics make it look like it was added on later (which makes sense, it took ten years for the station to receive baggage service). 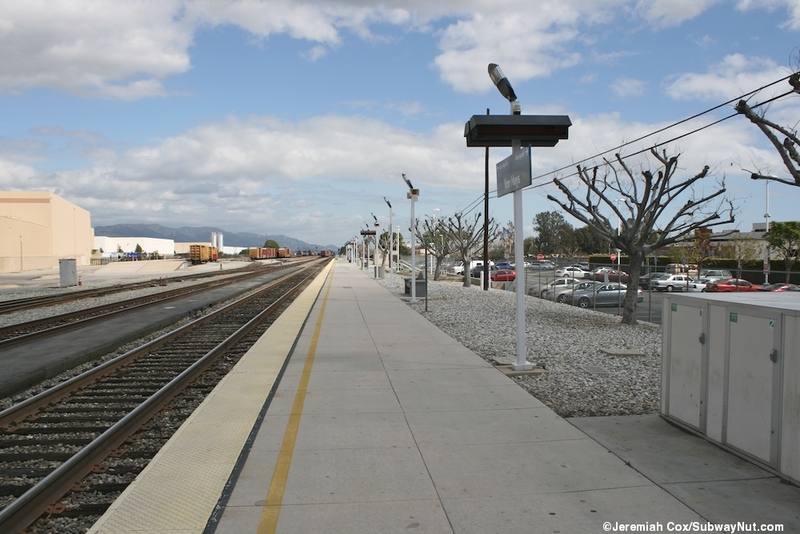 The platform continues west with a Metrolink wheelchair mini-high platform at this end (to align with the rear door of the front car). 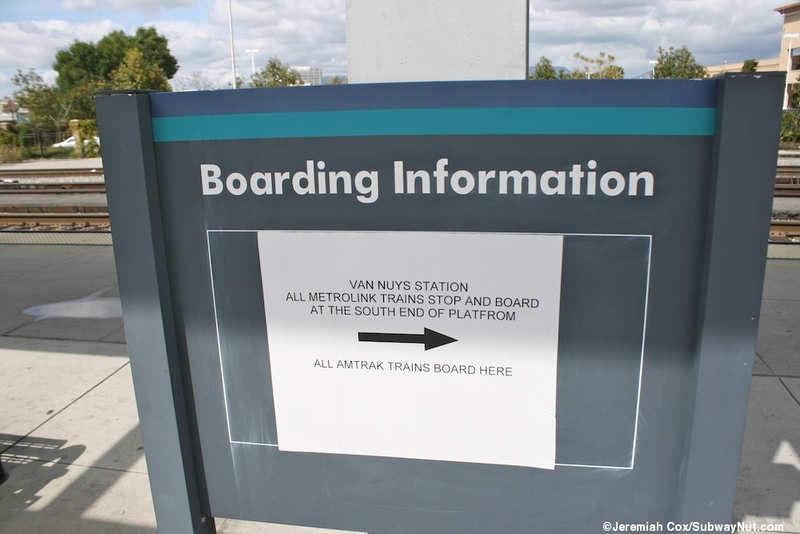 This stopping characteristic here is a problem because Metrolink riders must board far away from the depot, a sign on a Metrolink Boarding Instructions panel tells riders to walk down the platform and that Amtrak's boarding location is right outside the depot. 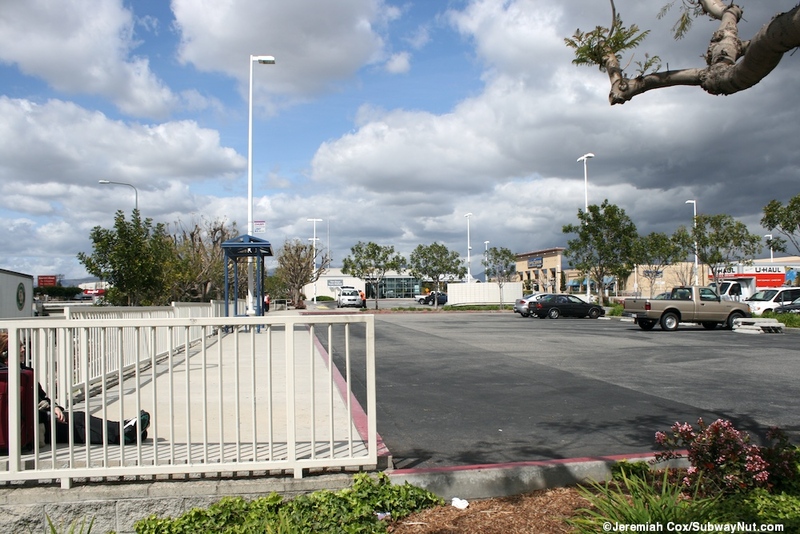 The rest of the platform has just modern lampposts and three little blue metal bus shelters with a bench inside for passengers waiting outside. 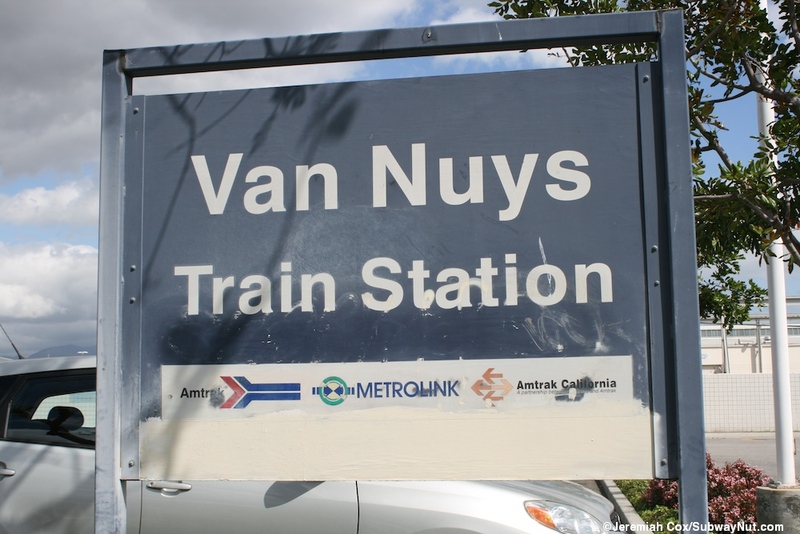 Signage is off both the standard Metrolink verity and unique, dark blue/grey signs that say Van Nuys Train Station with the old Metrolink, old Amtrak pointless arrow and Amtrak California logos beneath. 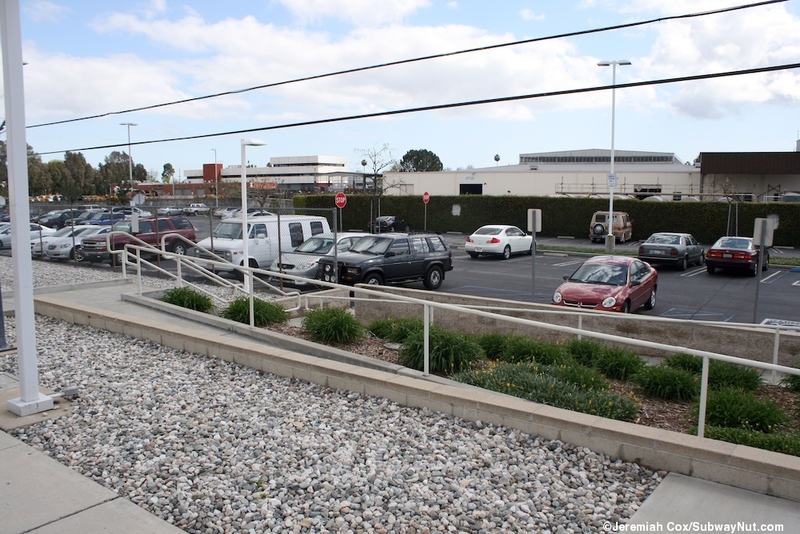 A ramp/staircase and a second staircase lead down to the main parking lot at a slightly lower level, connected to an upper parking lot on the same level of the depot where the bus loop right before the only exit to Van Nuys Blvd across from the end of Keswick Street.